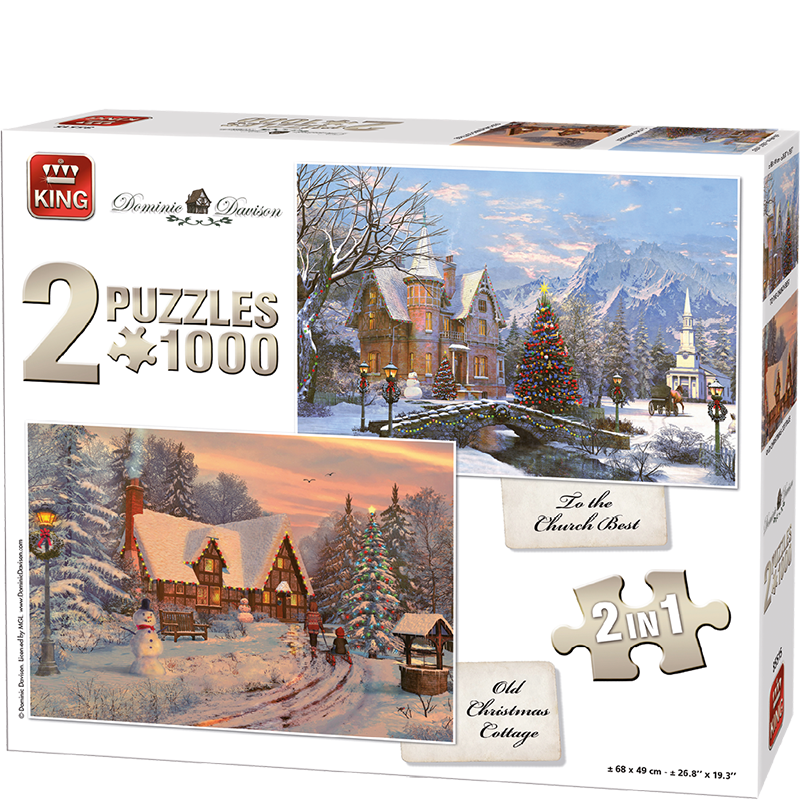 A 2in1 puzzle box with two amazing 1000 pieces puzzles of winter images. A beautiful cottage and a church covered by a lovely snow cover. A fun way to spend your time puzzling.